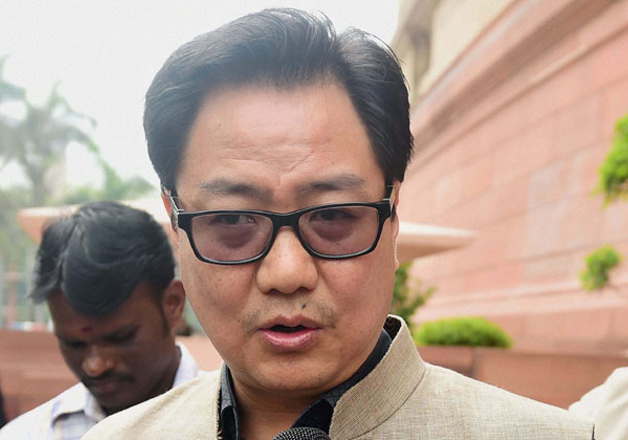 MoS for Home Affairs Kiren Rijiju today said that terror funding has been badly hit by demonetisation of Rs 500 and 1,000 notes as their counterfeit supply from Pakistan was affected. During the Question Hour session in the Lok Sabha, Rijiju also said that incidents of stone pelting in the Kashmir had reduced due to this move. "The biggest impact of demonetization is that it has led to a decline in stone pelting incidents in Jammu and Kashmir. Apart from it, the decision, has badly hit terror funding," he said while responding to a query raised by BJP MP Rama Devi. Rijiju further claimed that separatists in Jammu and Kashmir have a nexus with disrupting elements across the country and some of them were in touch with militant leaders based in Pakistan. "Inputs indicate the existence of nexus/collusion of disrupting elements sponsored by neighbouring country and separatists in Kashmir," he said. Rijiju said some of the key separatist leaders have been noted to be in touch with militant leaders based in Pakistan and Pakistan-occupied Kashmir (PoK). "They have also been believed to be receiving instructions and financial support from Pakistan establishment for such adverse activities," he said. The Minister said necessary action is being taken against such elements in accordance with the provisions of law. Rijiju said security cover was being provided by state government based on security categorisation decided by the state security review coordination committee which includes PSOs, guards and vehicles. He said the government had inputs that some of the separatists go abroad and indulge in anti-India activities and action have been initiated against such people. He said the central and state governments have been trying to improve the situation in Jammu and Kashmir and incidents of stone pelting have come down significantly in the recent past.